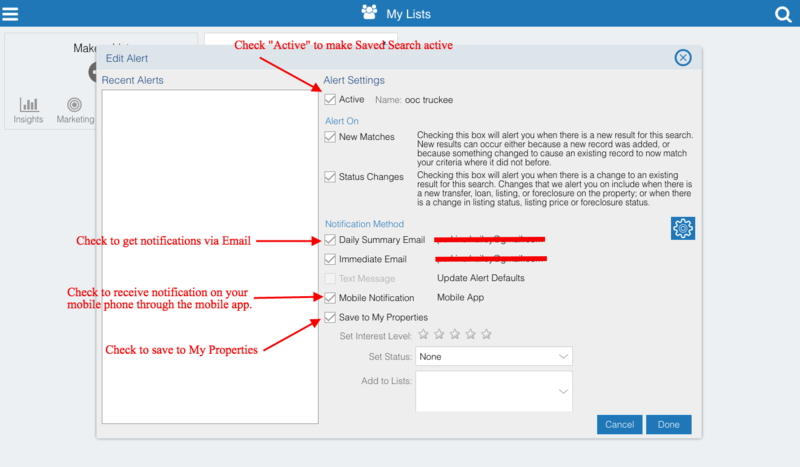 You may want to create Saved Searches to keep current on the property information and FARM (Focused Area Research Market) you're working on. You will want to set the criteria for your own Saved Search, depending on whether you want leads, lists, or market information from the PropertyRadar Property Search, Foreclosure Search, Trustee Sale Schedule, or Transfer Search. Select the type of search from the main menu. Enter and select your Search Options for this search. Narrow down your results by getting your options specific. Use the Summary tab to check all your selections. The Saved Searches menu is displayed. The Save Search window is displayed. Enter a name for your search. You can also copy to a Team name to receive the Saved Search information. 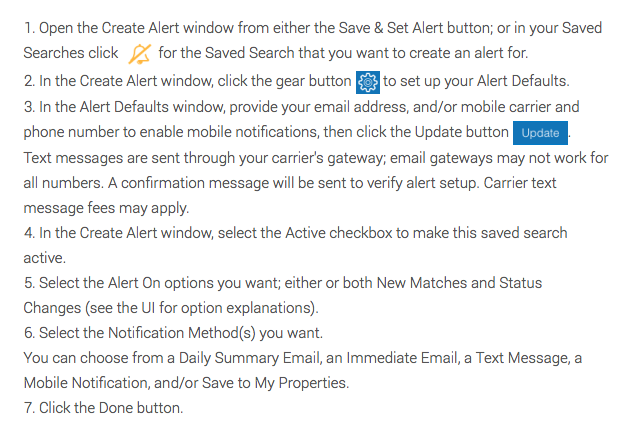 Click the Save & Set Alert button to select alert settings in the Create Alert window, then click the Done button. Or, click Save to save the Search without setting alerts. You can also set or change an alert at a later time.